Anyone familiar with the stories published on this blog over the past year knows that most IoT devices — security cameras in particular — do not have a stellar history of shipping in a default-secure state (heck, many of these devices are running versions of Linux that date back more than a decade). Left connected to the Internet in an insecure state, these devices can quickly be infected with IoT threats like Mirai, which enslave them for use in high-impact denial-of-service attacks designed to knock people and Web sites offline. When I heard about this bug I pinged the folks over at IPVM, a trade publication that tracks the video surveillance industry. IPVM Business Analyst Brian Karas said the type of flaw (known as a buffer overflow) in this case doesn’t expose the vulnerable systems to IoT worms like Mirai, which can spread to devices that are running under factory-default usernames and passwords. 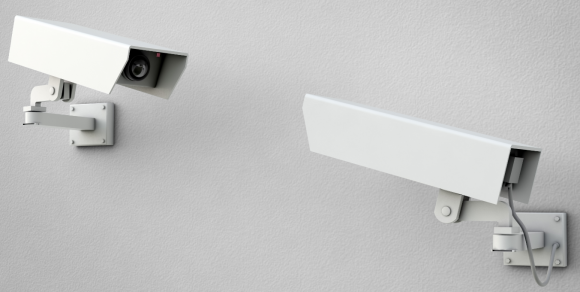 IPVM polled almost a dozen top security camera makers, and said only two (including Axis) responded that they used the vulnerable gSOAP library in their products. Another three said they hadn’t yet determined whether any of their products were potentially vulnerable. “You probably wouldn’t be able to make a universal, Mirai-style exploit for this flaw because it lacks the elements of simplicity and reproduceability,” Karas said, noting that the exploit requires that an attacker be able to upload at least a 2 GB file to the Web interface for a vulnerable device. Karas said similar to most other cyber security vulnerabilities in network devices, restricting network access to the unit will greatly reduce the chance of exploit. “Cameras utilizing a VMS (video management system) or recorder for remote access, instead of being directly connected to the internet, are essentially immune from remote attack (though it is possible for the VMS itself to have vulnerabilities),” IPVM wrote in an analysis of the gSOAP bug. In addition, changing the factory default settings (e.g., picking decent administrator passwords) and updating the firmware on the devices to the latest version may go a long way toward sidestepping any vulnerabilities.